So you’d like to try being a “reverse beacon”? It’s really simple. Download the “aggregator” software from our downloads/aggregator area. Extract the aggregator into the Skimmer program directory. Put a link to the aggregator on your desktop. Double-click Skimmer and the aggregator. In Skimmer, Click on “View” and then “Settings”. On the “Telnet” tab, check the box to enable Telnet, and make sure that your port is set at 7300 (the default). 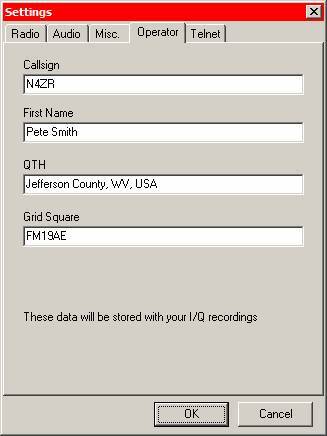 On the “Operator” tab, enter your callsign and your 6-character grid square. If you don’t know it, you can find it by looking yourself up on www.qrz.com . OK out. You should see in the aggregator DOS window that it is automatically connecting to both Skimmer and the server. You can minimize the aggregator now, but keep it running. It will not interfere with anything else you want to do with Skimmer, such as feeding spots to a logging program locally.